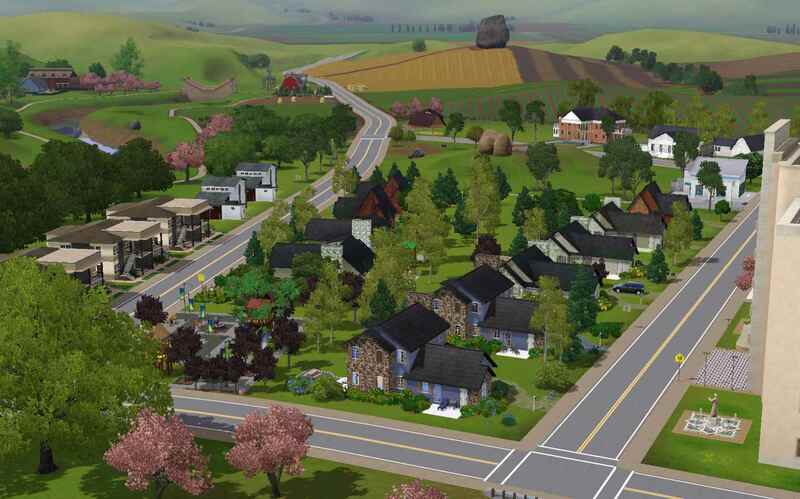 by SimmyRN Posted 9th May 2017 at 2:32 AM - Updated 5th Apr 2018 at 2:58 AM by SimmyRN : Note 04/04/18: New Sims File Share link added. Love city night life; great cultural, recreational, and educational facilities; high rise apartments; quaint houses in the suburbs; ranches; farms; and all the modern technology your heart could desire? 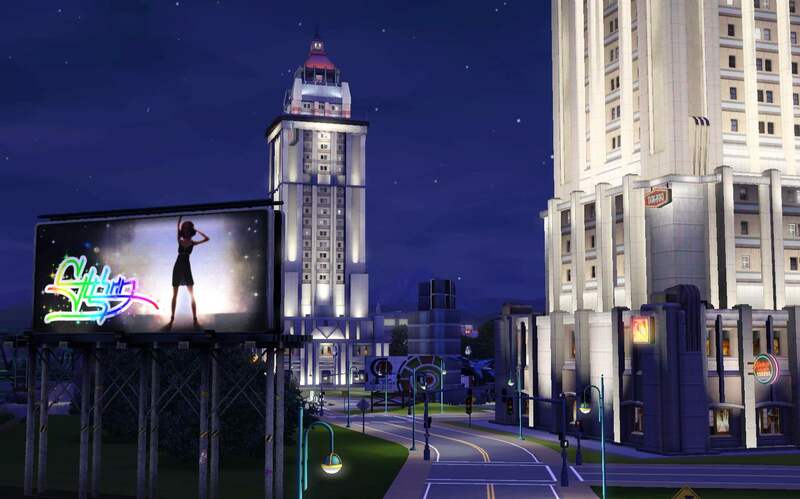 If so, Simburbia's the place for you! 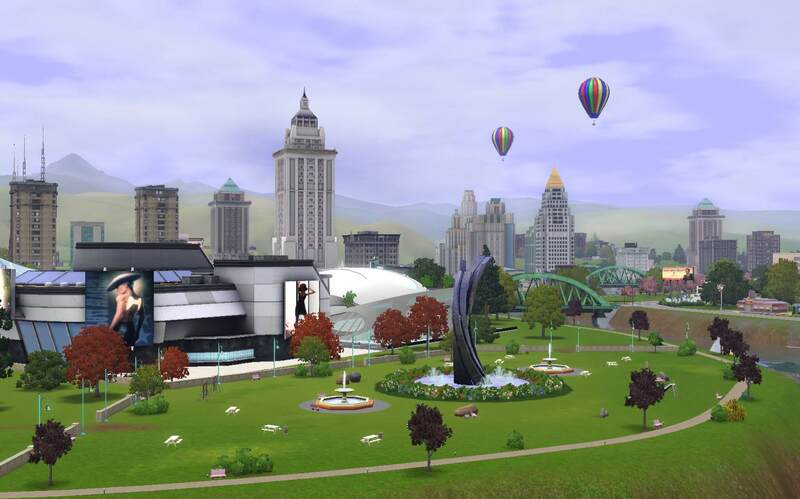 Simburbia has it all - and sims will flock to it. But wait, there's a seedy underbelly too - grimy businesses, a criminal element, not so nice houses, a "no tell" motel out by the airport, and Simburbia's own version of Area 51. There's even a rumor that sea monsters lurk beneath the dark water of Simburbia bay. 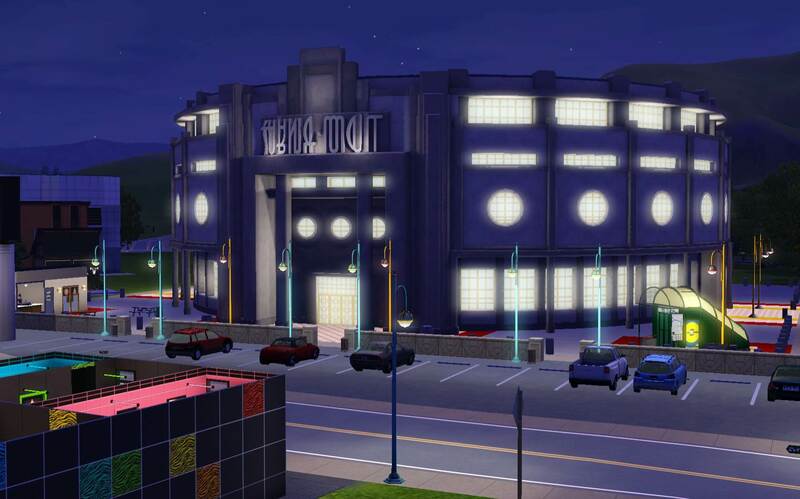 What path will your sim choose in Simburbia - black widow, beach bum, business mogul, mad scientist? Or, something better or worse? 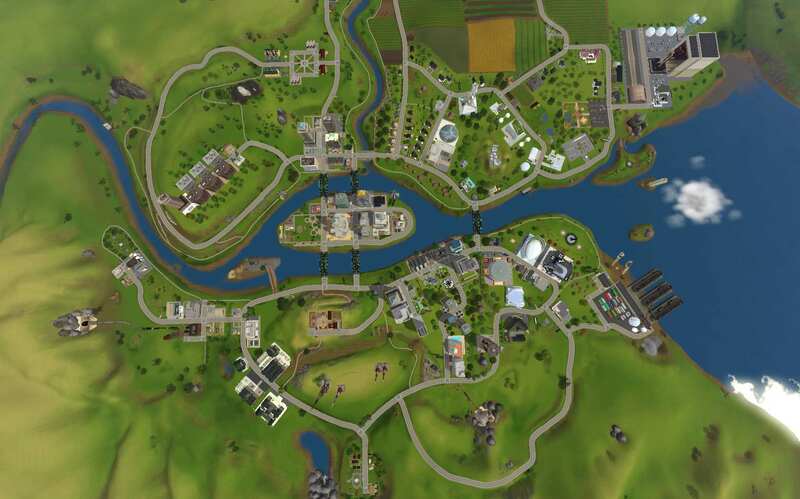 Simburbia consists of a city center, business / entertainment / industrial area, Late Night apartments, several residential areas and suburbs - including a Supernatural area, farms/horse ranches, airport, and harbor. Spawn Points: Beetle, Butterfly, Carbon Steel, Crystal Plant, Dig Site - Wasteland, Fishing - Lake and Ocean, Gem, Insect - Alchemy, Large Bird, Lizard, Metal, Meteor, Mosquito, Nanite, Rodent, Sea Sludge, Seed, Small Bird, Snake, Surface Shark, Turtle, Vampires Eye, Wildflower, Will-of-the-Wisp. Effects: Flying Seagulls, Hot Air Balloons, Jet Trails, Meteor Showers, Ocean Surf and Waves, Rainbows, Sailboats, Waterfalls. 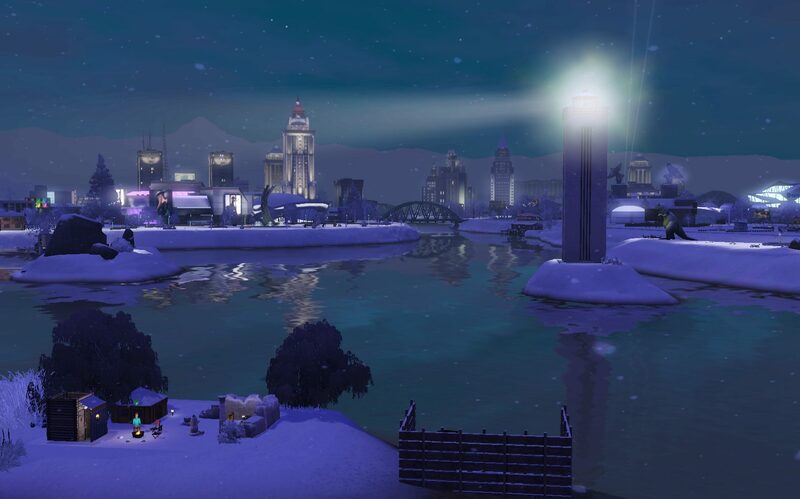 Simburbia has a working lighthouse. Routing Info: Sims cannot route up or down steep hills or mountains with the exception of paths/sidewalks which take them to specific lots. 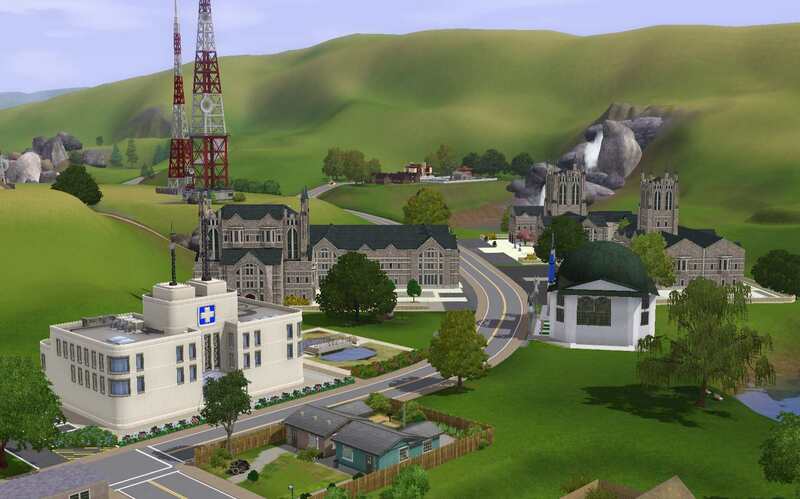 Sims are restricted from some areas near paths and roads. Isolated routing "nodes" were eliminated to avoid "stuck" sims. The camera can go anywhere except for map edges. Layering: 8 layers - Lots, Objects, Plants & Trees, Streetlights & Guardrails, Spawners, Effects, Distant Terrain, Houseboats & Ports. Global layer cleaned. Textures: 29 textures total used with all being in-game textures. There are likely more than 8 textures per chunk in Simburbia but it has not affected performance on my PC. Simburbia includes several fog emitter effects on lots - bubbles, pigeons, fireflies, etc. - so, as with all custom worlds, players will have to open the world, save the world, and then play the saved version to enjoy the effects. WPID (world ID) changed to avoid conflict with Riverview world. 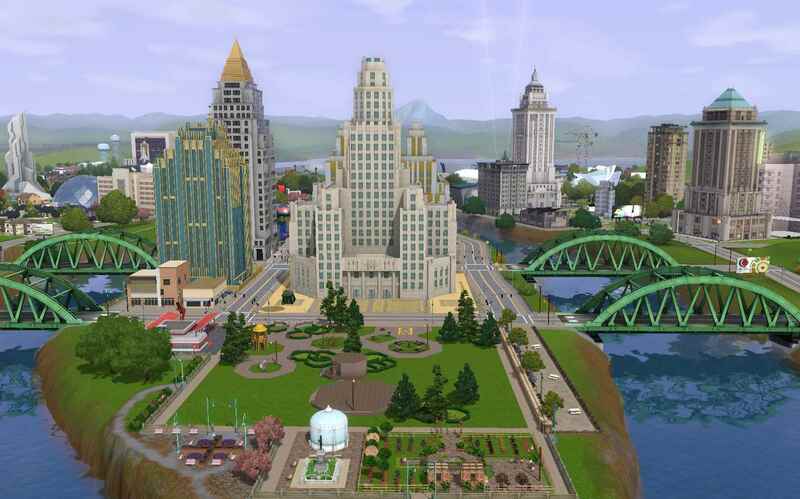 All expansion packs were used to build Simburbia as well as a couple of pre-made lots and a rabbit hole from the Town Life Stuff Pack. 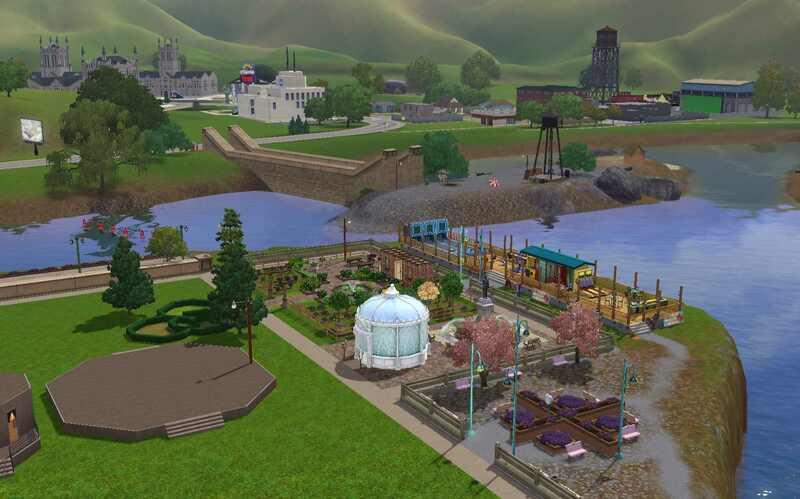 (See List of Simburbia Community Lots by Type.) Items from Town Life Stuff Pack should be replaced by game items for players who do not have the stuff pack. This may require editing on some Community Lots. 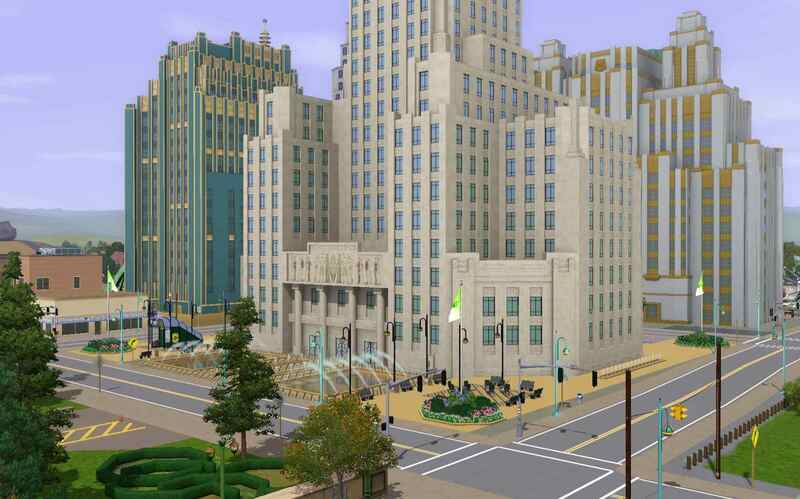 Store world Roaring Heights rabbit holes were used for most main rabbit holes such as City Hall, Stadium, Police Station, etc., as well as for streetlights and decorations. 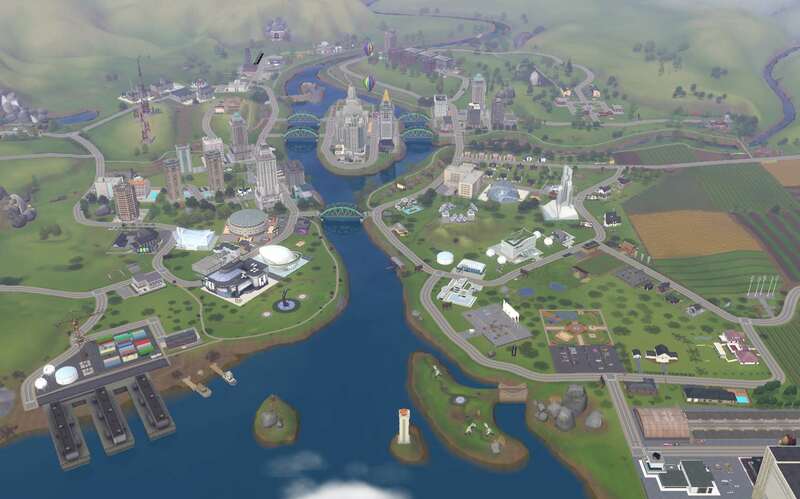 Players who do not have Roaring Heights may find the world unplayable. The Store Al Fresco Street Market lot was used in Simburia. Care was taken not to use Al Fresco Street Market items on any other lots. Graham's Pet Swap Shop from the Store was used in Simburbia. The Store's Classically Cool Fixer-Upper Car from Roaring Heights was used on the edited "All the Rave" Warehouse lot. Free Store world Riverview is required. 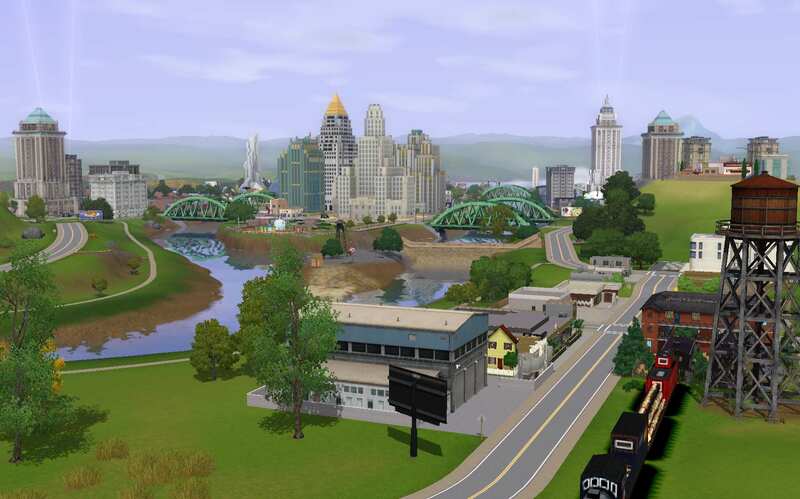 As EA did not include the Riverview Distant Terrain with the Riverview Lite CAW file, players must install Bluefunk_Riverview_DistantTerrain_InGame.package.zip file (Post # 2) in order for Simburbia to have a distant terrain. This file must be extracted to your Game Framework Files. Playability of Simburbia will not be affected if there is no distant terrain but corner map edges will be visible in the initial neighborhood view and Simburbia looks much more realistic with distant terrain. Lots by other creators used with creator's permission and/or according to creator's policy. (Changes or additions noted in parenthesis.) Abbreviations used - RH = Rabbit hole; NVA = No Visitors Allowed. Lots by other creators used with creator's permission and/or according to creator's policy. (Changes or additions noted in parenthesis.) Abbreviations used - br = bedroom(s); ba = bathroom(s). simsample unlocking the Food Truck and Parking Space (Post # 3) was very helpful. Cleaning the Global Layer tutorial by simsample. Thank you, Winterhart, for these mods: Generations Cars Buyable & Available for Community Lots and Cars for Community Lots. CyberBob78 for EA\Maxis Mail & Trash Receptacles *Unlocked*. Guide to Houseboats in game & in CAW. Other - [Tutorial] How to make hidden island. World Adventures - How to create tombs?, The Sims 3 Tomb Creation Guide How to Build a Tomb in World Adventures, and The Sims 3: World Adventures Building Tombs. Tutorial Changing out the WPID File by auntielynds. MTS modders for CAW Resources. Note 04/04/18: Sims File Share link accidentally deleted. 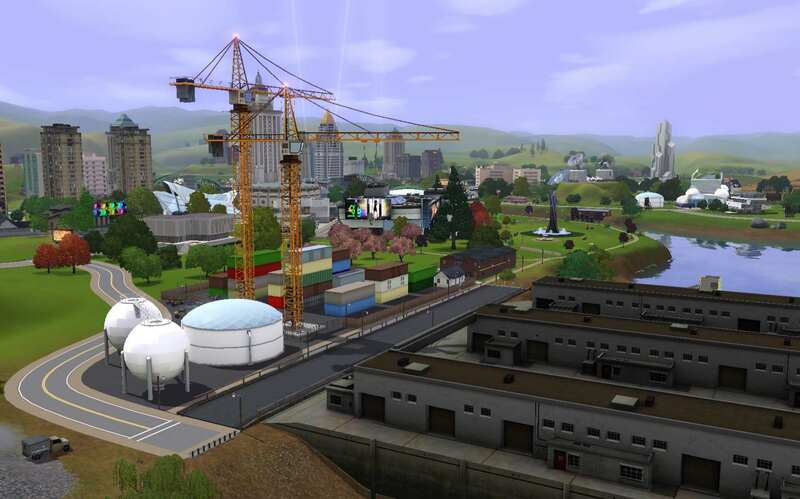 Below is a new link to a single Simburbia file at Sims File Share. 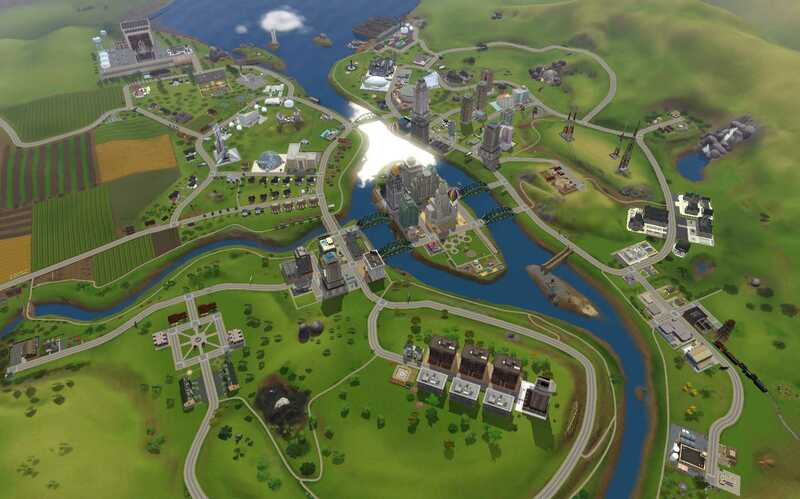 For those who prefer a single file, Sims File Share link.